One of our longstanding clients Jade Recruitment recently expanded to a new office in Alton. This presented a need to link their existing server resources based in Dorking with their new office in Alton including shared data, email system and client database. 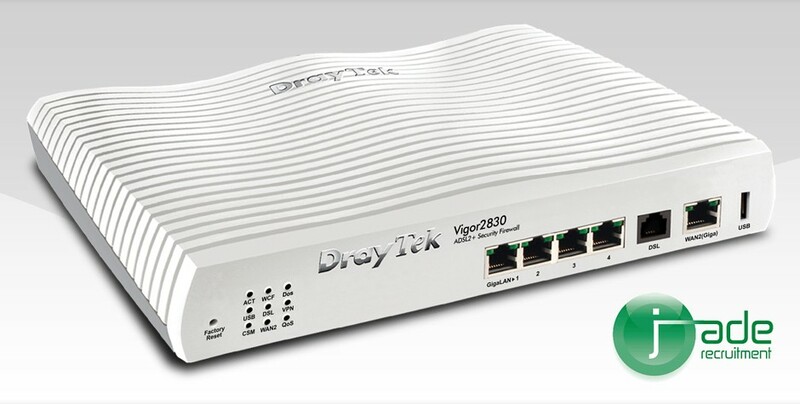 We decided to setup a site to site Virtual Private Network connection between the two sites using Draytek firewall / routers. The internet connection at Dorking had to be upgraded to Fibre facilitating a high upload speed which is essential for successful VPN connections. Employees can now travel seamlessly between the two sites with their laptops with full access to all resources. Costs have been minimised with no additional servers required, their data is kept in a centralised location simplifying backup and disaster recovery.